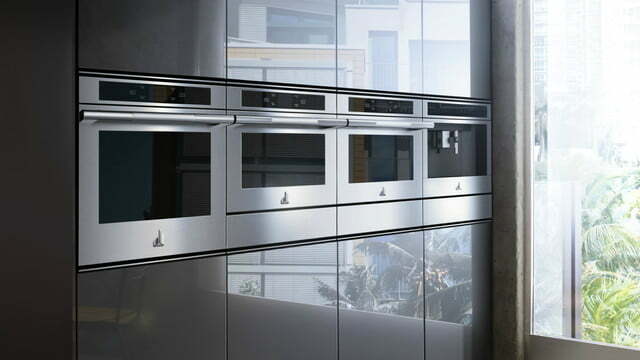 Luxury appliance manufacturer JennAir wants to rock your world, or at least your kitchen. 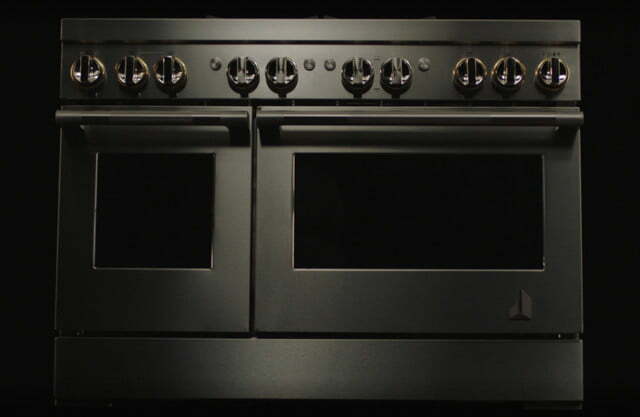 JennAir hopes to inspire you to personalize your cooking environment with its edgy design styles, Rise and Noir, each with newly enhanced digital features. 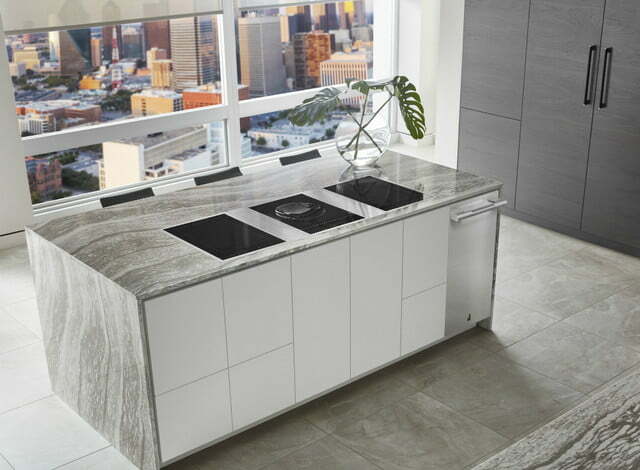 When JennAir releases an appliance design line, the company goes beyond current trends like matte finishes or new stainless steel exterior color choices. 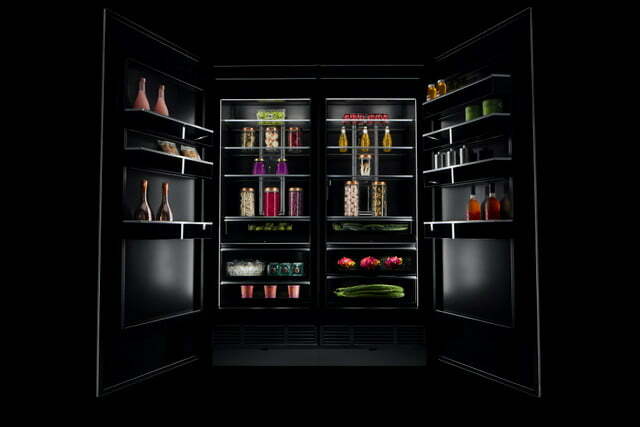 The latest JennAir launch stresses art and design, as did last spring’s leather column refrigerator announcement. 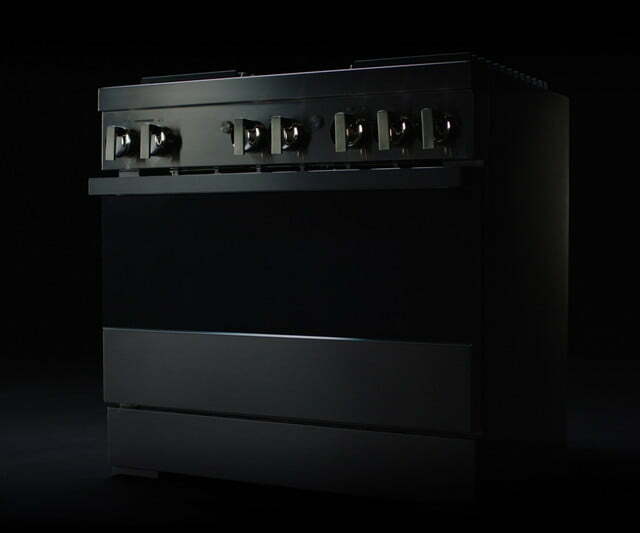 If the Rise and Noir appliance appearances surprise or even startle you, JennAir’s designers will be proud — just so long as you don’t hate the looks. The Rise and Noir designs are available now for custom order in JennAir showrooms. 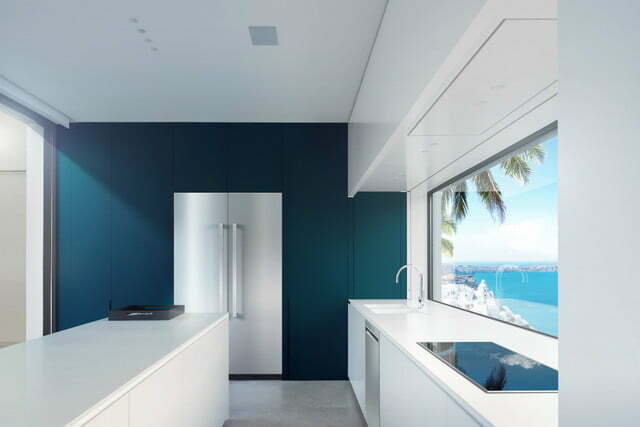 Both lines include full suites of appliances including column-style and built-in refrigerators, ranges, rangetops, wall ovens, cooktops, dishwashers, and wine centers. 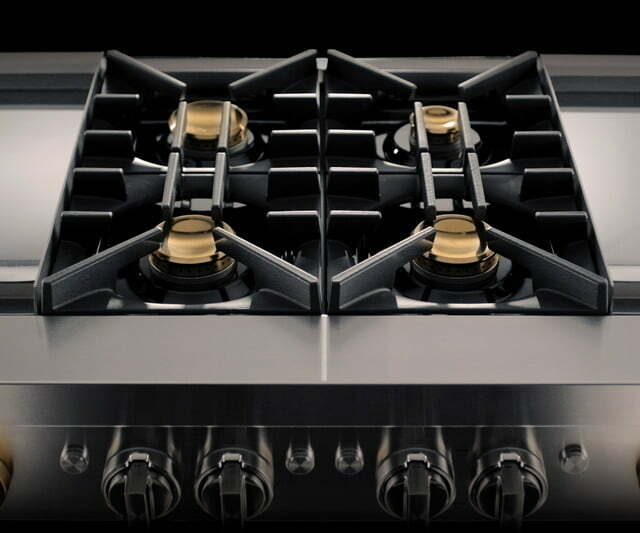 JennAir’s news release and the accompanying images highlight the new design elements rather than individual appliance models. Stressing the new lines owners’ opportunity to personalize their environments, JennAir showed the appliances in dream kitchen settings. JennAir presented the Rise and Noir ranges and rangetops images with black backgrounds and highlighted professional and techno elements. It’s not much of a leap to picture Darth Vader leaning over the griddle on the Rise range. 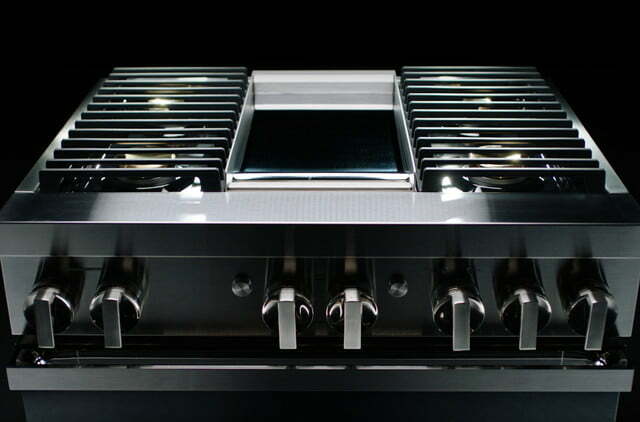 Does Darth Vader cook on this griddle-topped RIse range? Downdraft for the JennAir Noir grill top. 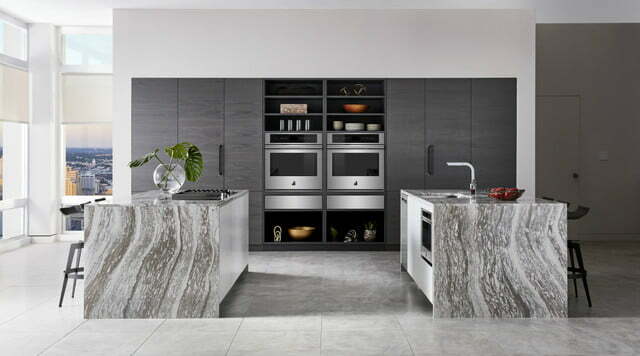 The Noir line’s column refrigerator images are especially dramatic, showing off the appliance’s gray interior. “For owners, JennAir integrates seamlessly into their digital lives, powered by an uncompromising mobile experience to deliver the meaningful, custom interactions consumers deserve from true luxury products.” From JennAir’s words to your eyes, the previous statement from the launch news release captures four elements the company espouses: mobility, uncompromising experience, interaction, and luxury. 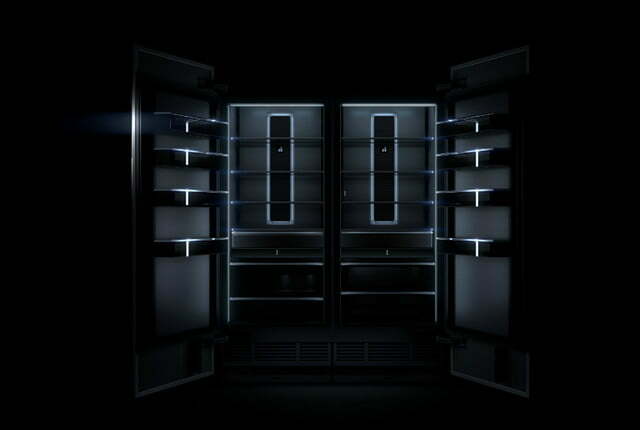 The Noir and Rise appliances utilize a mobile app and a new JennAir Epicenter, the company’s customer support service. 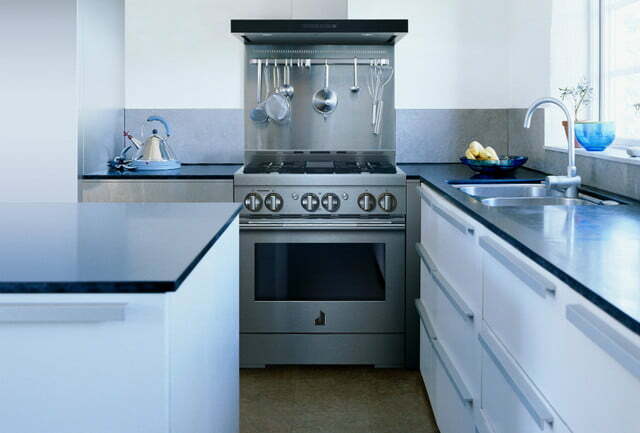 The appliances connect to Wi-Fi and can also work with Amazon Alexa and Google Assistant-enabled devices. New JennAir digital features include remote access and control, recipes, monthly appliance usage, maintenance status reports, and automatic dishwashing supply reordering when you sync the dishwasher to your Amazon account, and one-touch support.